My mission is to help YOU immerse in your life's purpose and step into your full potential so YOU can lead, earn and live your life in alignment with your highest values. I believe that we're all here to express ourselves and the time is now to shine that expression. Whether you're here to awaken yourself through soul searching or make an impact in the world through your business, I'll show you how you can begin your journey towards a fulfilling and abundant life. 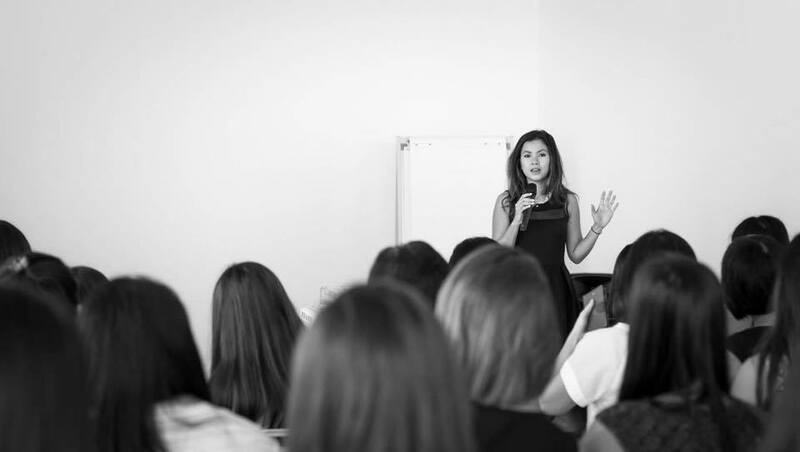 As an internationally recognised Speaker, and Life & Business Strategist, Arabelle helps individuals, entrepreneurs and professionals become the best version of themselves, share their gift and make an impact. Born Buddhist, taught in ancient indigenous wisdom, trained in modern healing modalities and "A cross between Elizabeth Gilbert and Tony Robbins”, as her peers would say, Arabelle teaches about Leadership, Business and Mindset. 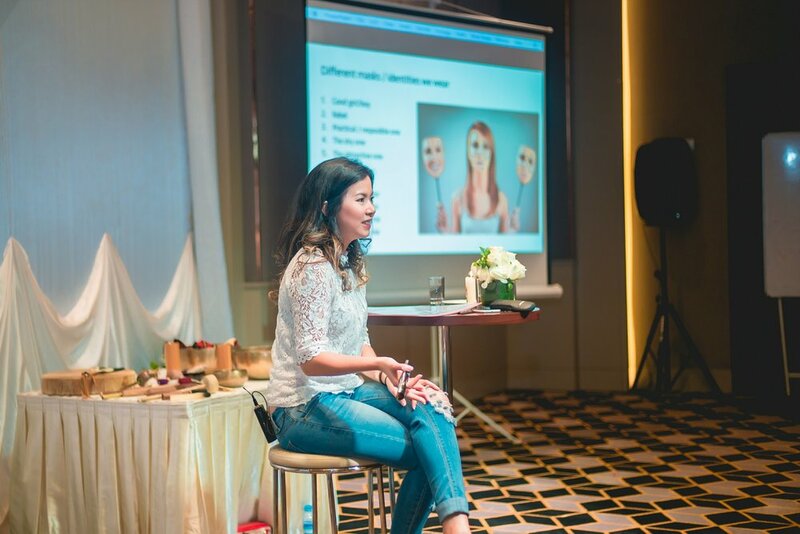 Arabelle is professionally qualified in clinical psychotherapy and with her personal experience from running a successful online business, combined with her background in Business (MBA, B.A and B.Sc), Arabelle has a unique method of helping people thrive in their life and business. Arabelle has also worked with clients from corporate professionals, business owners and change makers to multiple 7-figure entrepreneurs. She has also appeared on national medias as well as on online publications such as Sunday Times, The West Australian, 7 Days TV, 7 Days News, Huffington Post, Secrets in the Garden and many more. Arabelle is one of the sought-after speakers when it comes to helping people shift their mindset, breaking through limitations and inspiring them to take aligned action. She has been invited to speak both online and offline in numerous places and countries. Arabelle herself loves running her own events and retreats. Arabelle brings eastern philosophy and knowledge from her roots, ancient healing wisdom and new-age practices. When combined with her training in psychotherapy, the way she connects, delivers and facilitates become unique. 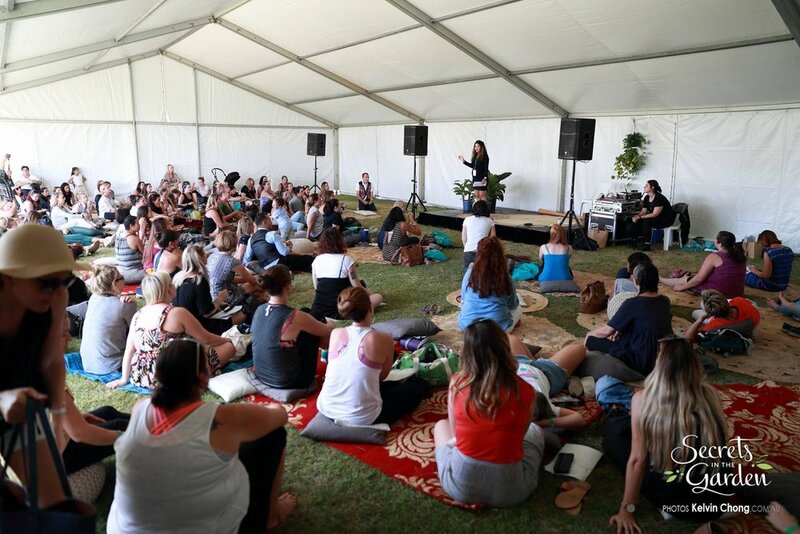 Arabelle uses story-telling, experiential learning that links mind-body-spirit and interactive speaking style which allow her audience to bypass the resistance, drop into their hearts and connect deeply to who they truly are within. Arabelle is available for podcast interviews, summits, panel discussions, workshops, event facilitating, sacred circles and gatherings. E.g. marketing, fees, professional video, etc. 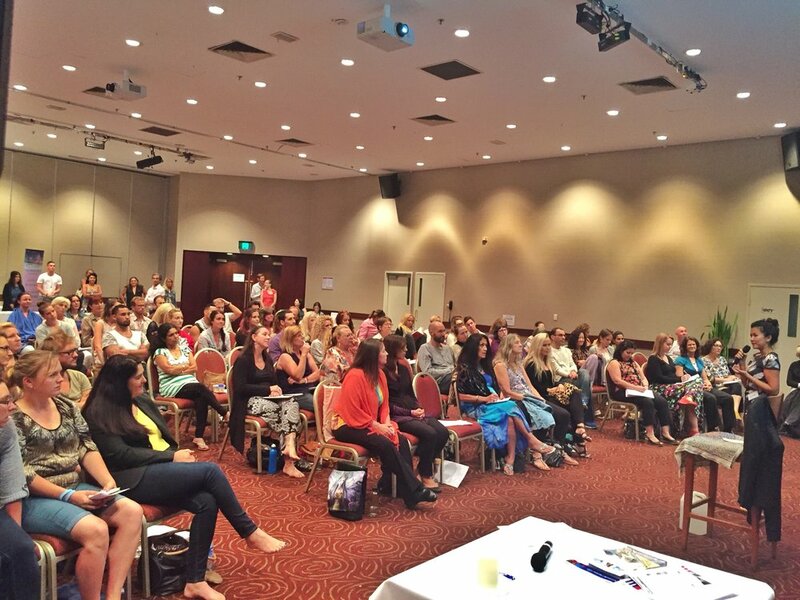 Speaking - All flights and accommodation must be covered for Arabelle to speak at your event. Podcast & online interviews - Arabelle does not send email to her list for the interviews. However, she will link it back to the interview on her media page. She may or may not share it on social media. The first book I bought at the age of twelve was the book on psychology, spirituality and philosophy. I guess I'm tapped in since young but I just never really understood what I was doing. To me life is like the matrix of dots that we get to connect as we awaken ourselves more. As they say 'Teacher appears when the student is ready', the teachers have been appearing throughout my life, teaching me to be able to do what I do today. One of the biggest teachers were the four accidents I went through within a span of ten years where I escaped death twice. The fourth one was the final straw, the rude (or the beautiful) awakening, that put me on this path. Prior to that point, I worked for Fortune 500 companies, climbing the corporate ladder and making nearly multiple 6-figure income. I set up two side businesses while I was still in the corporate. I thought the meaning of success of money, status and fame. But when my success didn't give me happiness - more so - the meaning and fulfilment in my life, I knew I had to make a 180 degree turn in my life. Since then I've dedicated my life in learning, experiencing, living, embodying and then teaching various modalities from vipassana and mindfulness meditation to indigenous wisdom, breathwork, shamanic work, energy work, psychotherapy and, life and business coaching. The universe does respond to our vibration -- over the past three years, I've been fortunate enough to have trained and worked with thousands of people through my international events as well as coaching clients from all over the world. I don't consider myself as an expert or a guru. But I'm a space holder, a teacher, a speaker and a contributor to the world through my work. During those three years, I went through a divorce, started my life with $1,500 in the bank, lived a digital nomad life - changing lives, building my business and building my life back - all at the same time. I’ve recently became a mom and now live in Melbourne Australia with my baby boy, my partner and my dog Bonnie. I'm thriving, living life in flow and in abundance. If I'm not coaching, running retreats or program, you'll find me in nature, traveling or in the Amazon jungle.